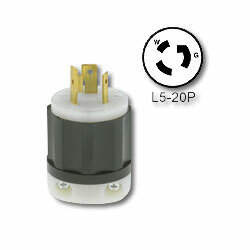 Locking 20 amp plug with black nylon body and cord clamp. Available with lighted end. NEMA configuration # L5-20P.